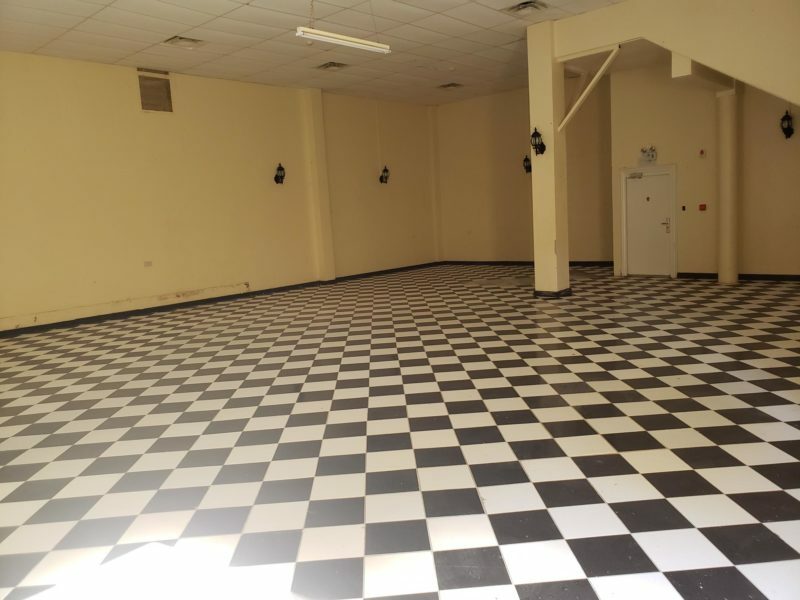 An open hall previously used as a dance hall. 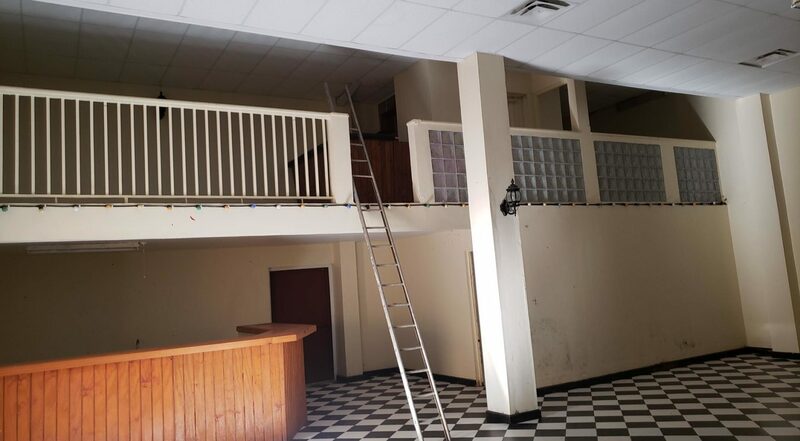 There is a bar area and an attic type setting designed as a DJ booth. 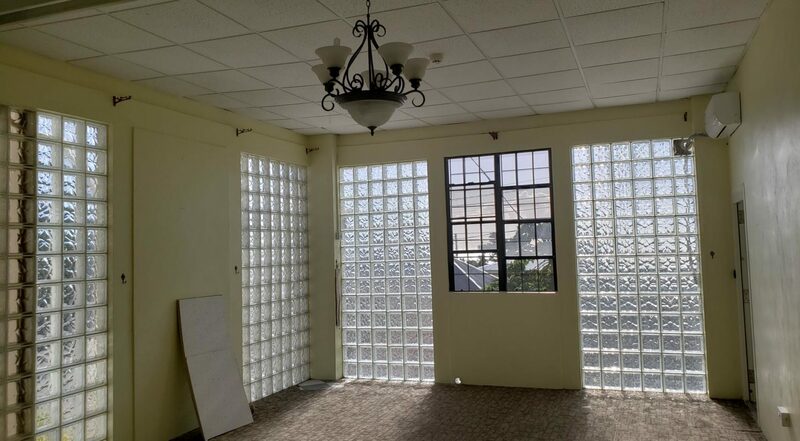 This area can be used to host special events and functions such as parties and dinners. 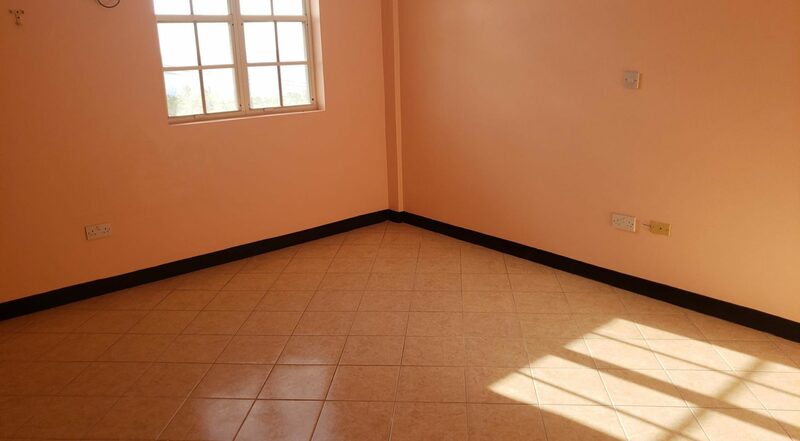 This floor also comprises of a storeroom. 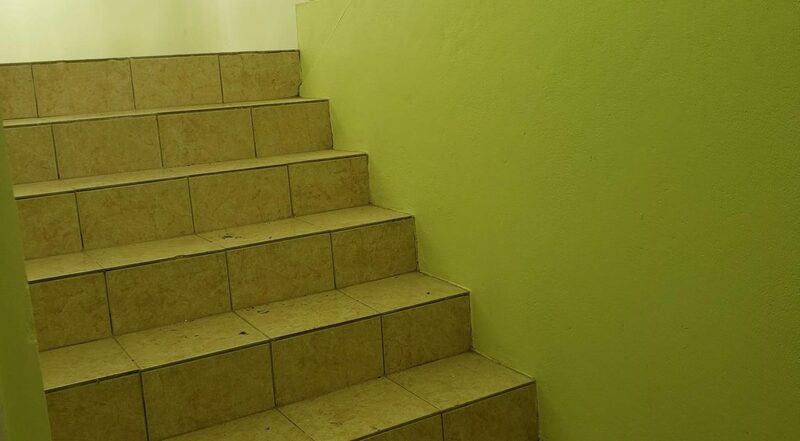 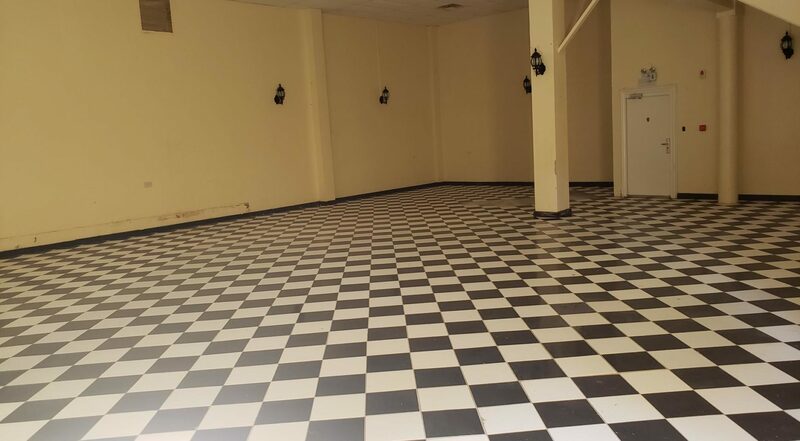 This floor consists of three (3) rooms, two (2) bathrooms, one (1) kitchen, two (2) office spaces, one (1) open area and a reception area previously used as a ticket booth. 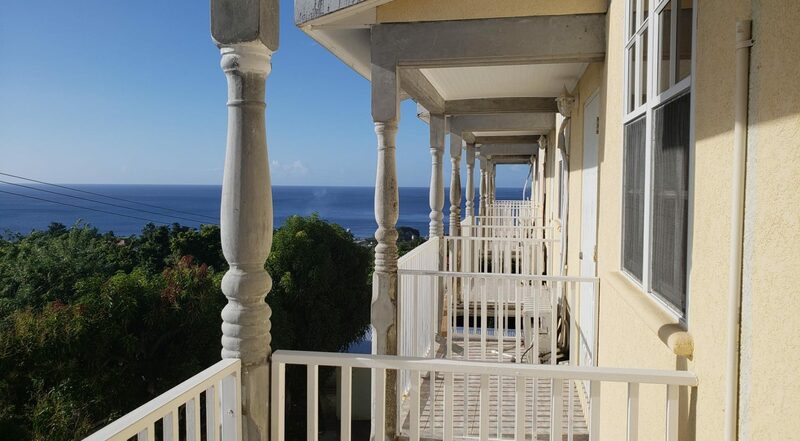 This floor is served by a verandah which stretches across the side of the building and is conveniently positioned to take full advantage of the sea view. 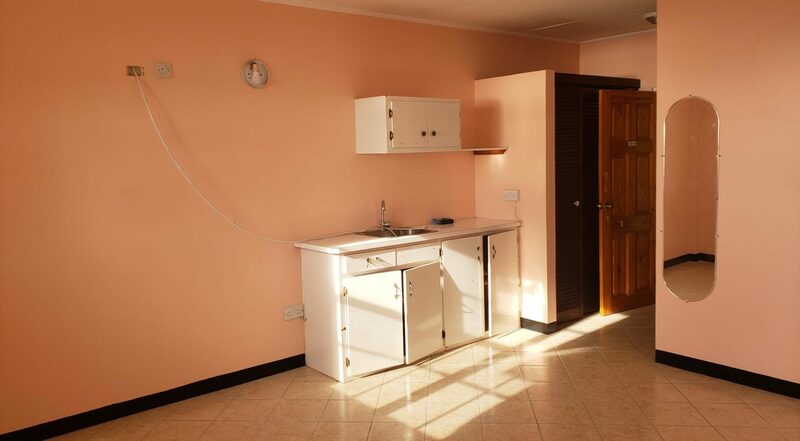 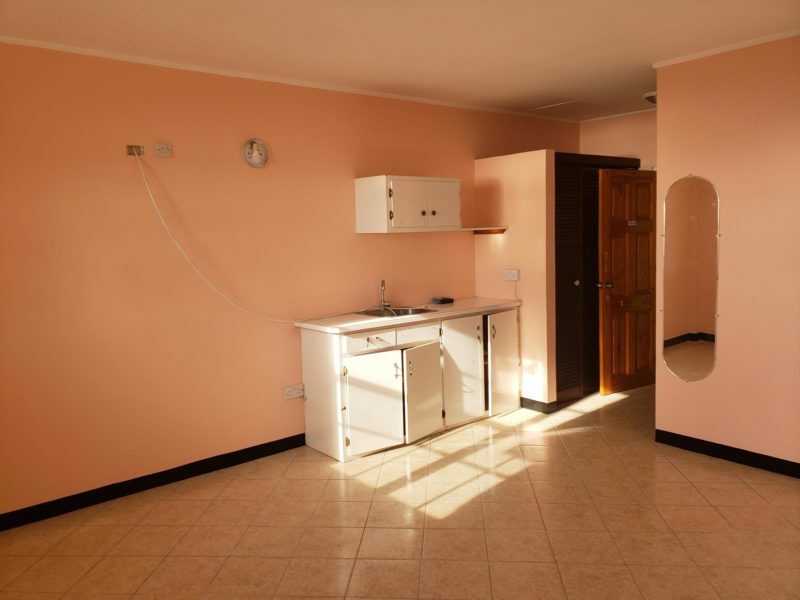 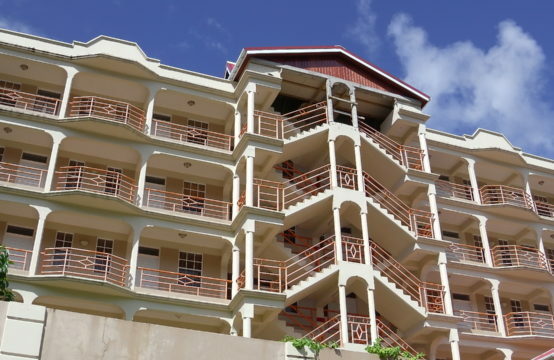 The second floor comprises of eight self-contained one bedroom apartments and one (1) two (2) bedroom apartment. 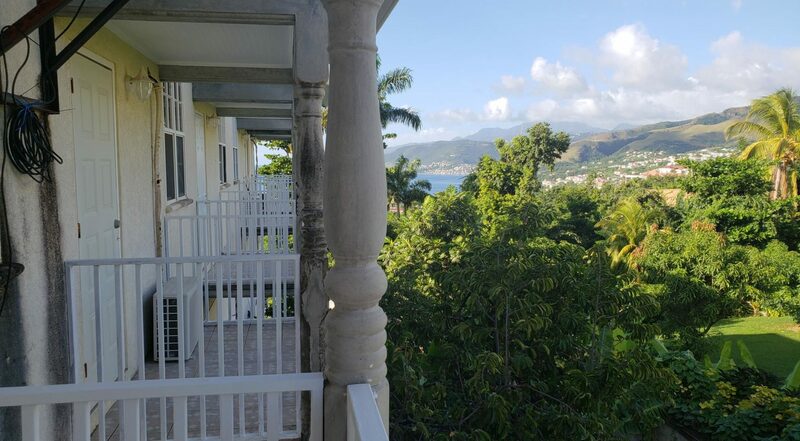 The rooms are all served with separate verandahs, five (5) of which provide a great sea view and the other three provide a spectacular mountain view. 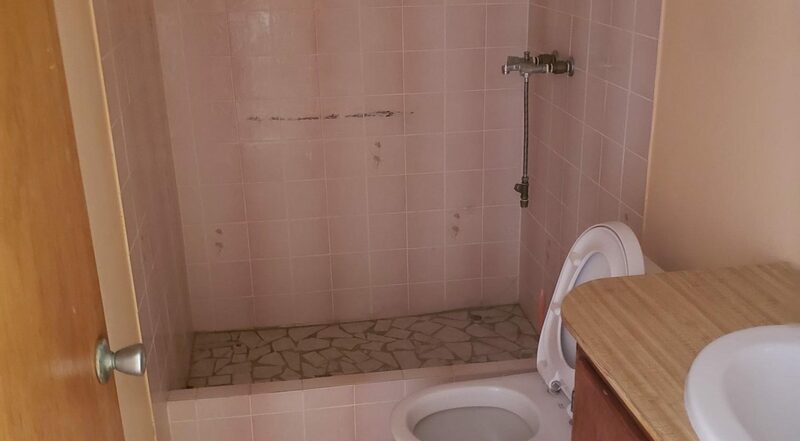 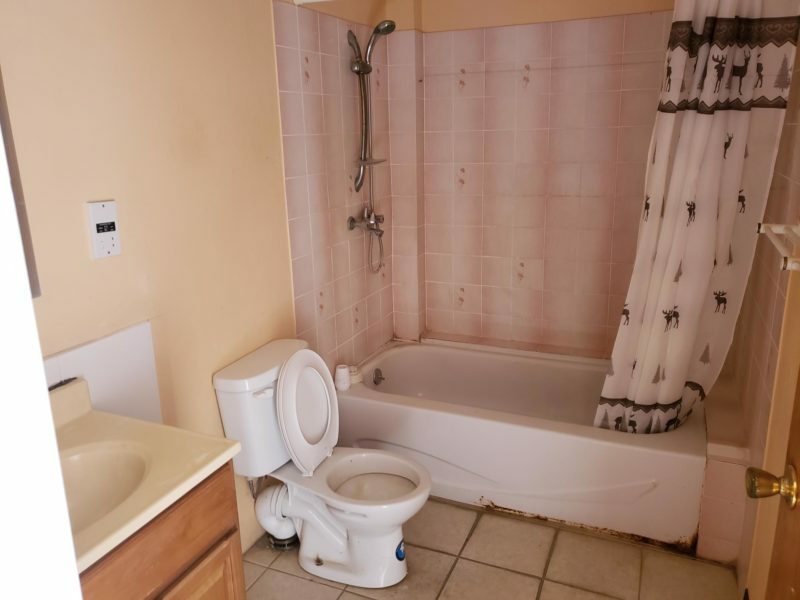 The two (2) bedroom apartment has two (2) bathrooms and two entrances since it was originally two (2) one (1) bedroom apartments; it is possible for the new owner to revert to the original layout. 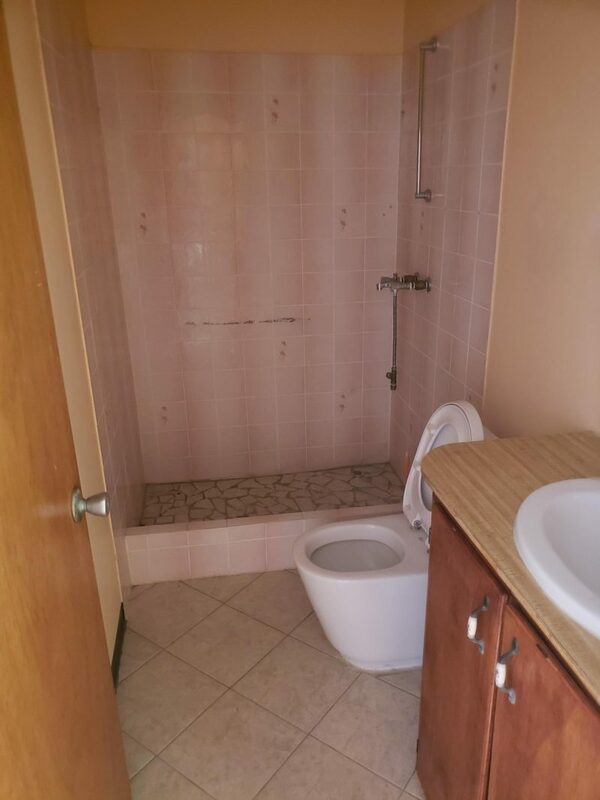 This two (2) bedroom apartment is sound proof. 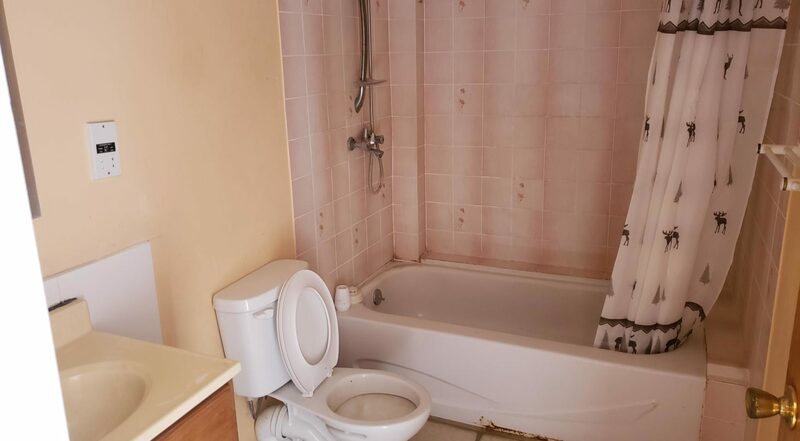 Five (5) out of the eight (8) rooms include bathtubs while showers serve the others. 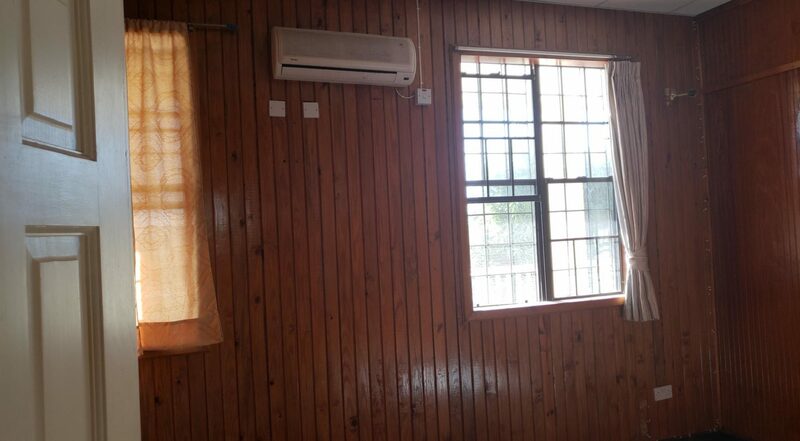 Air Condition Units are installed in some of the rooms. 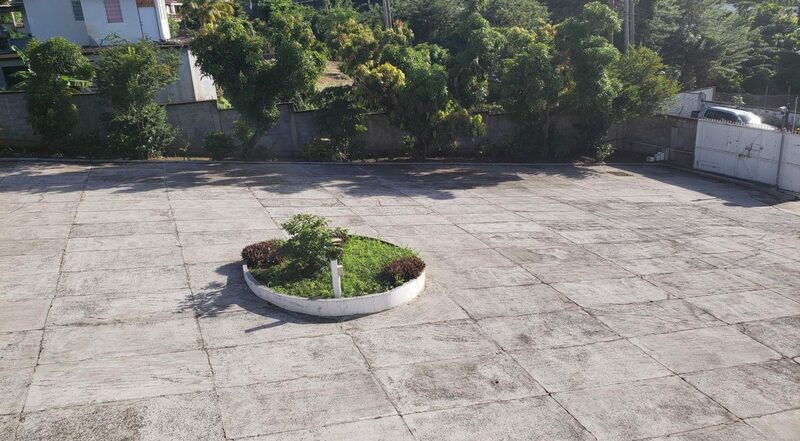 A semicircular verandah on this floor at the front of the building captures the entire front yard and entrance. 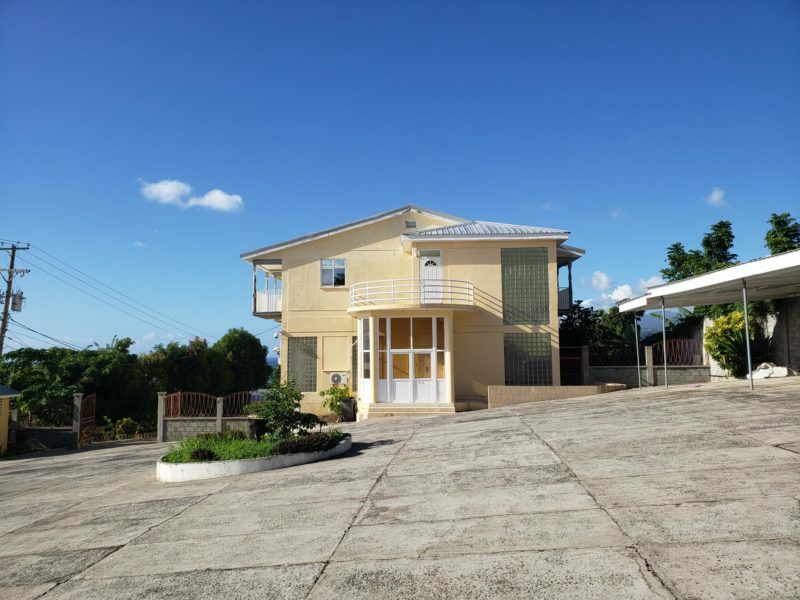 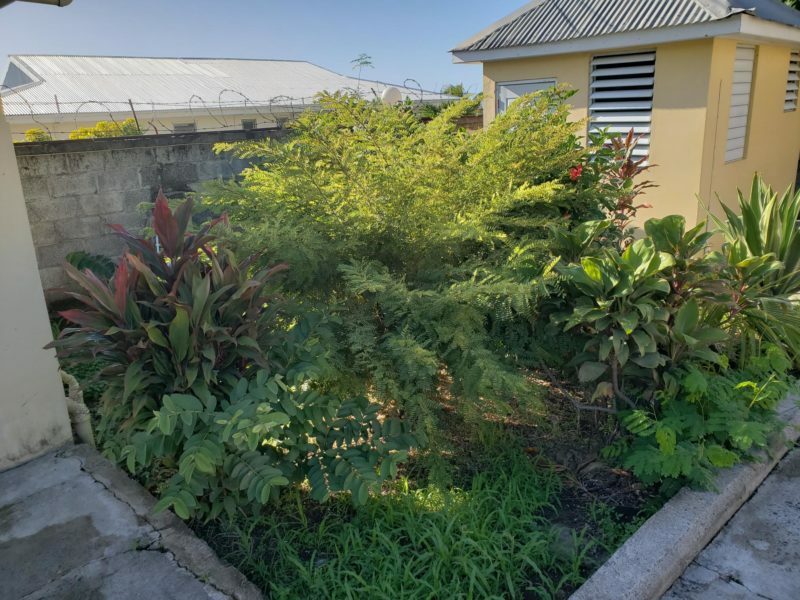 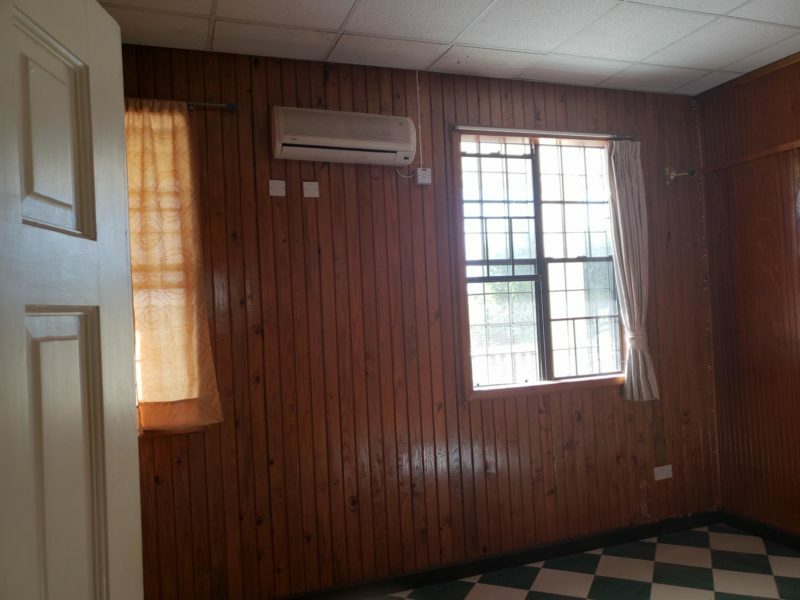 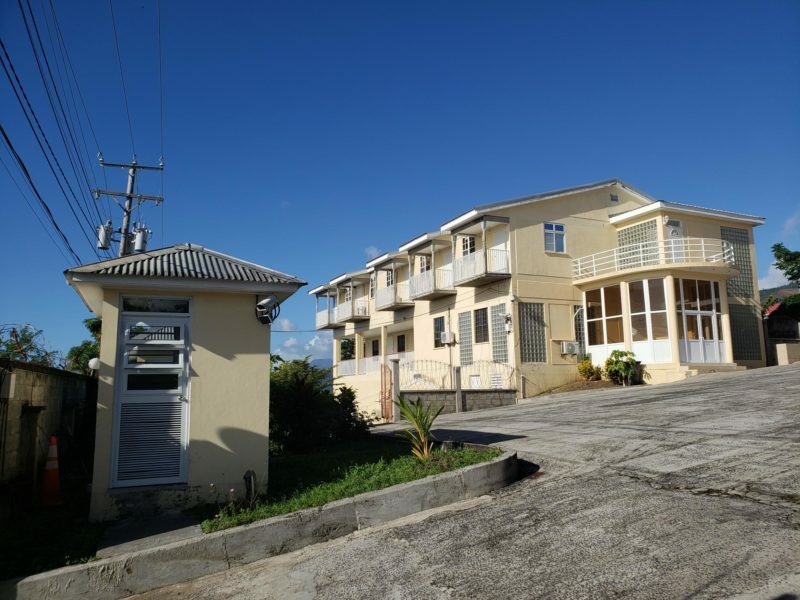 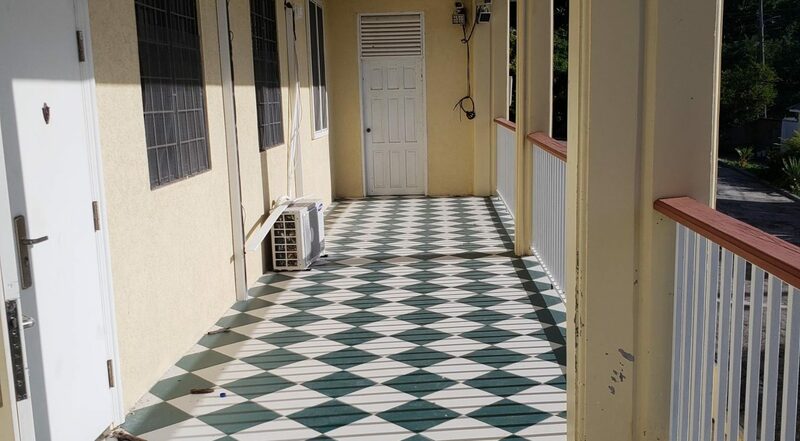 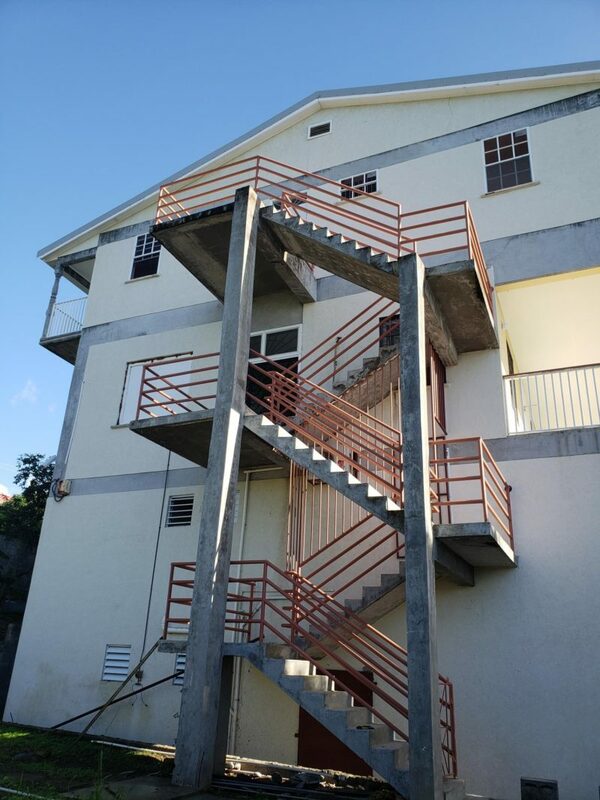 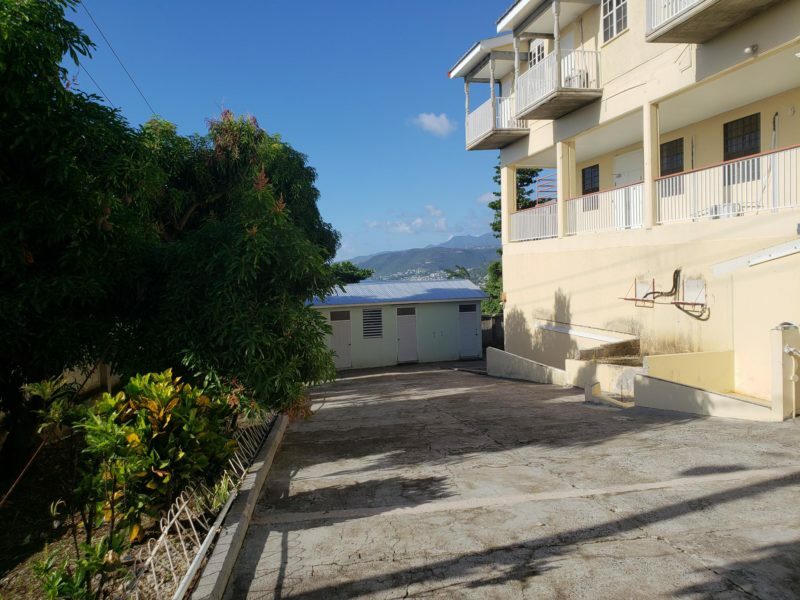 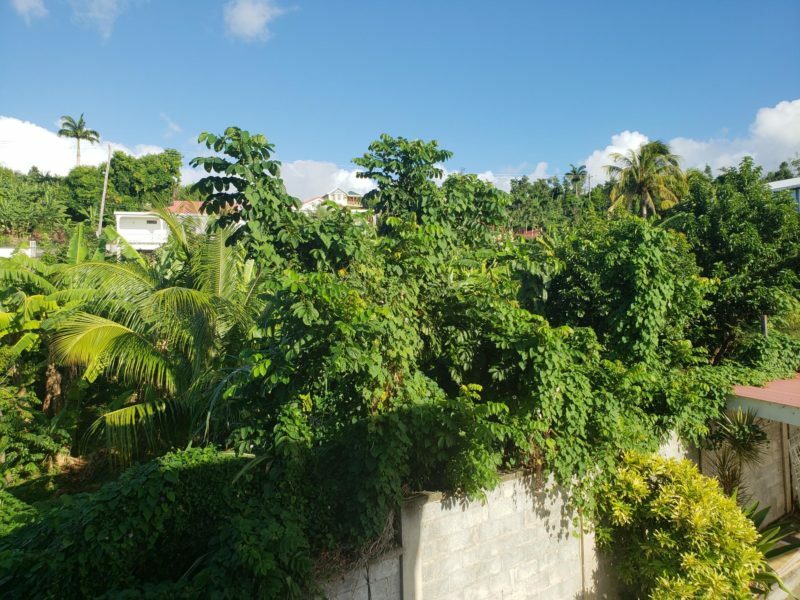 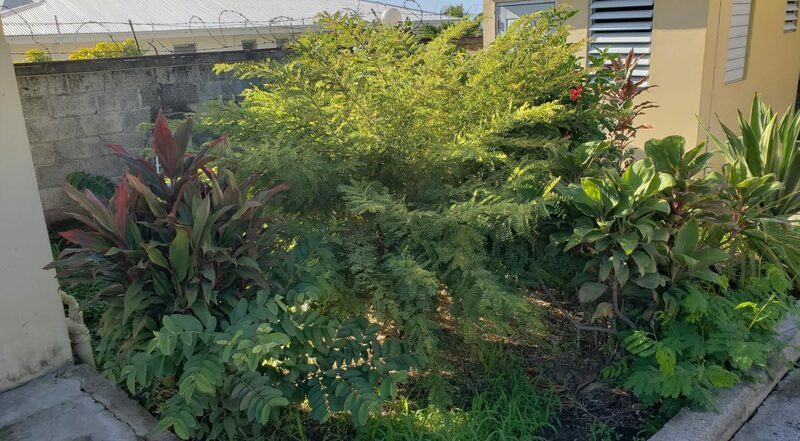 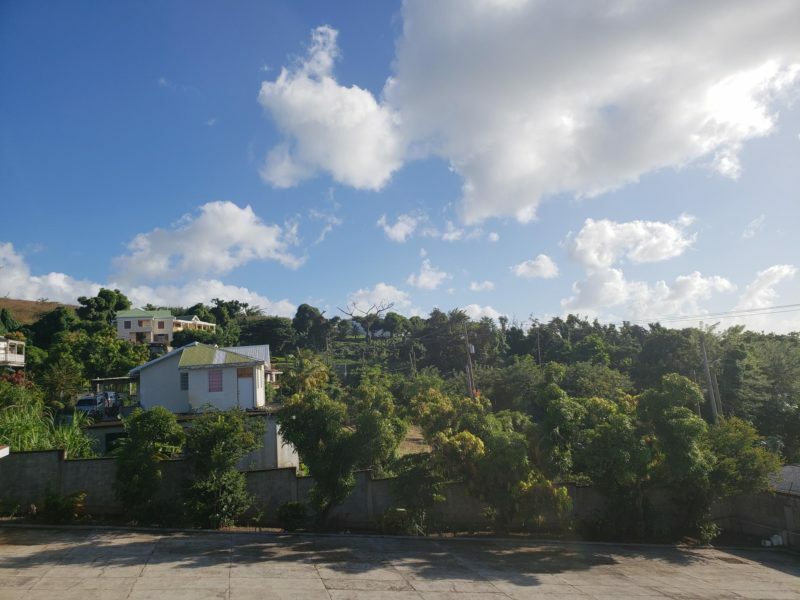 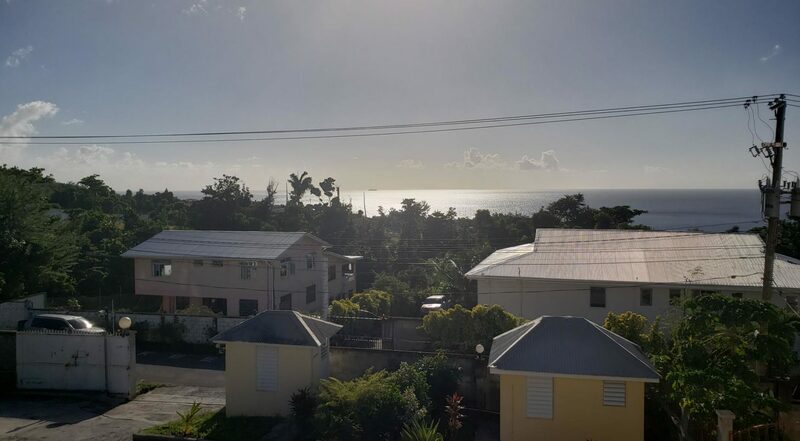 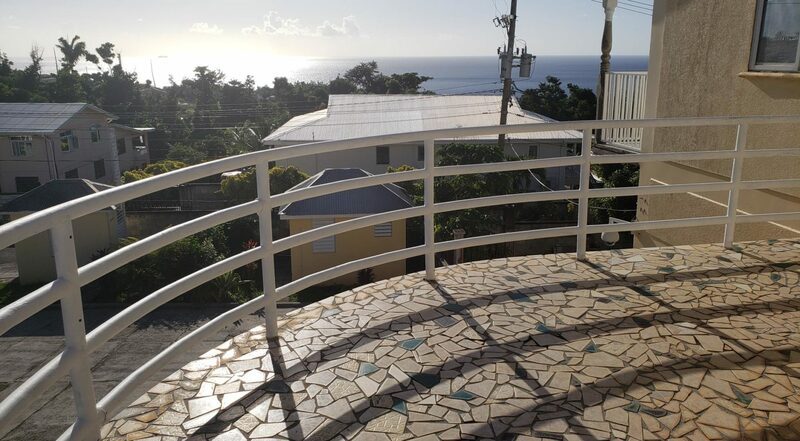 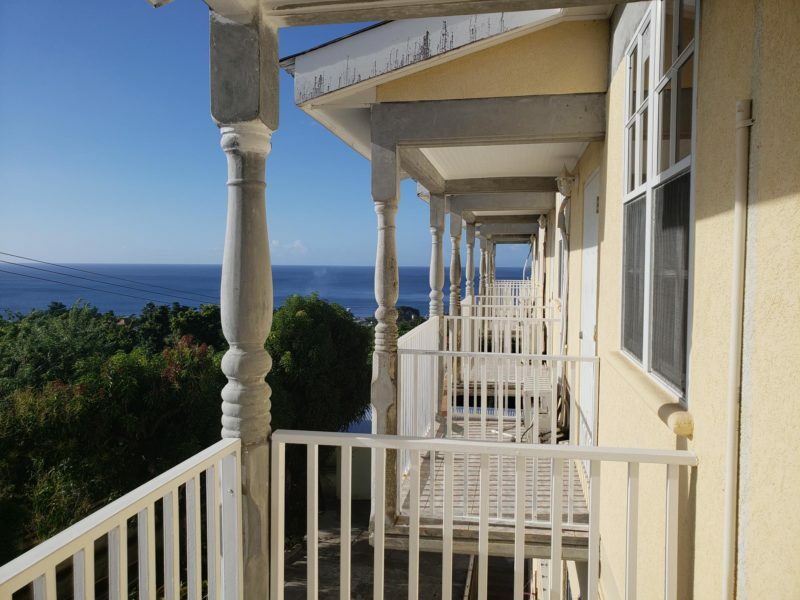 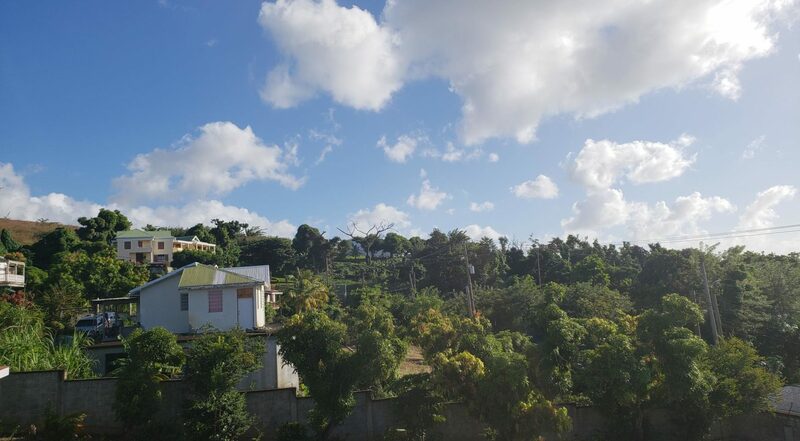 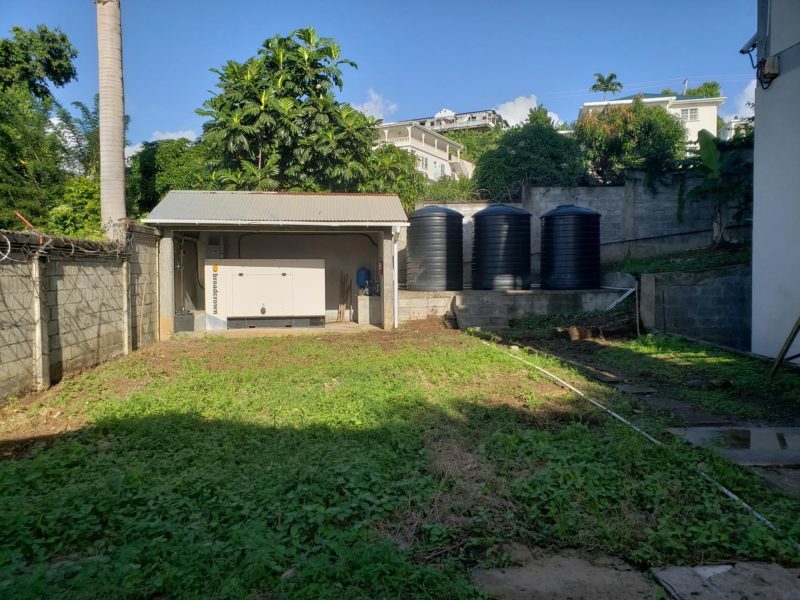 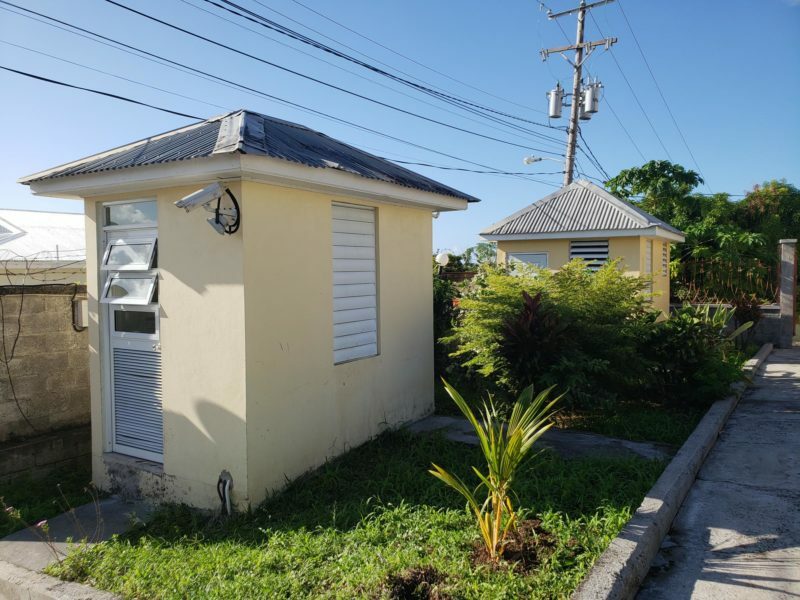 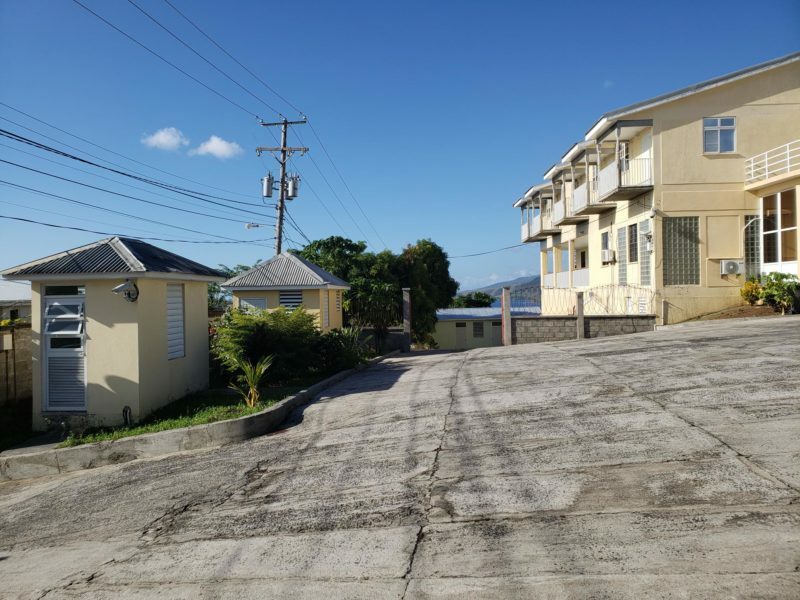 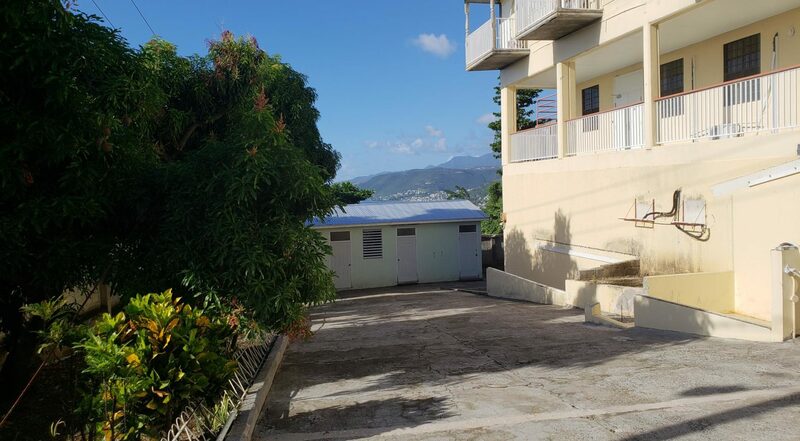 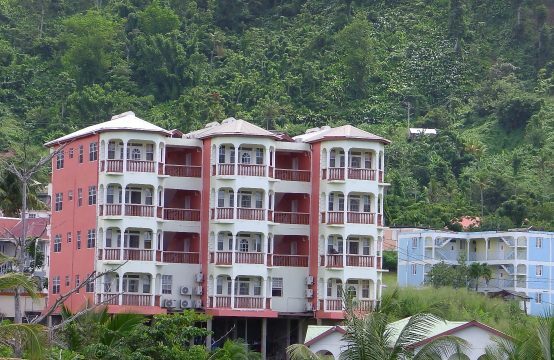 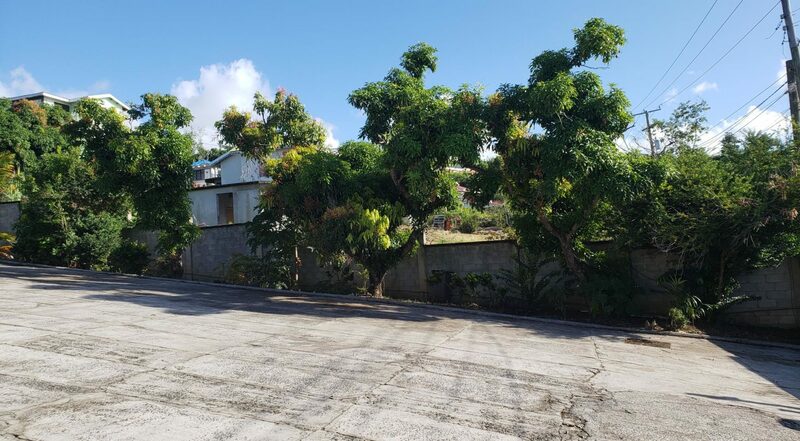 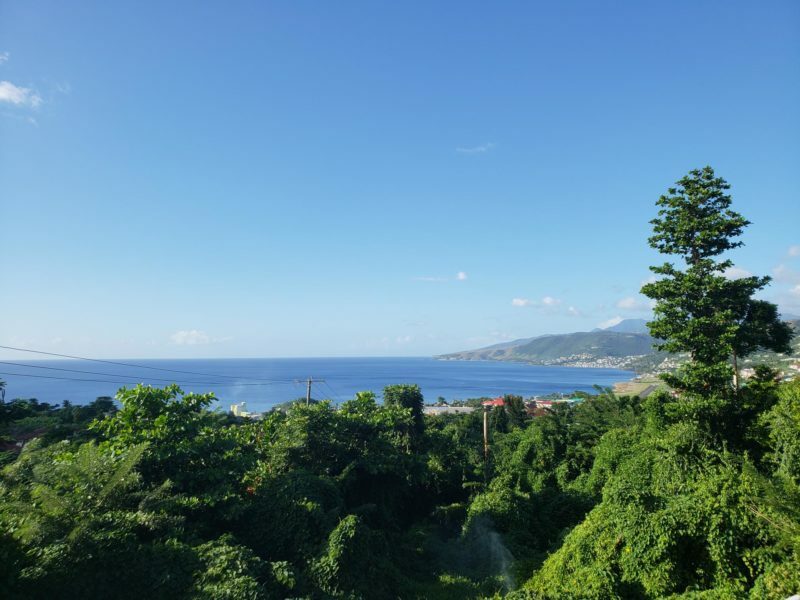 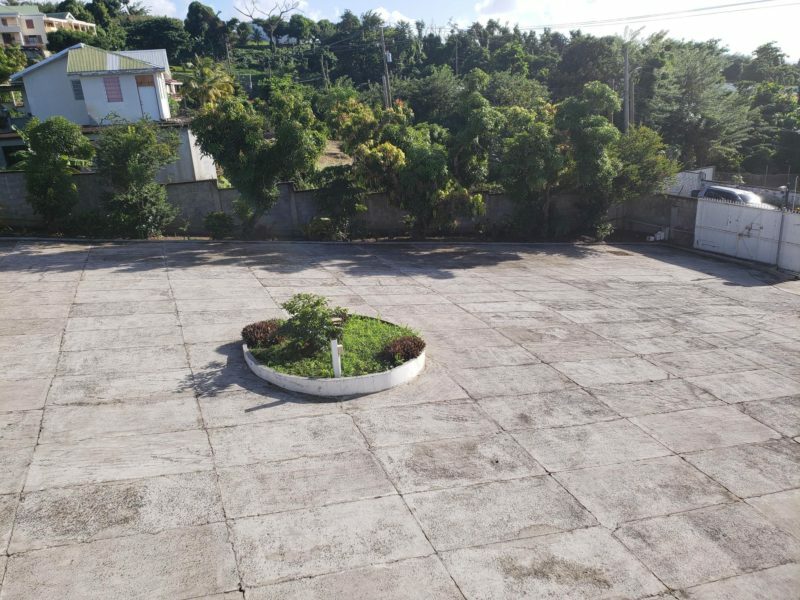 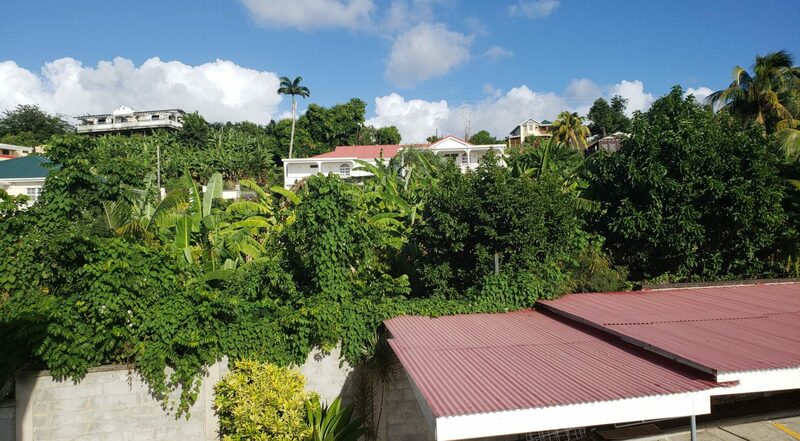 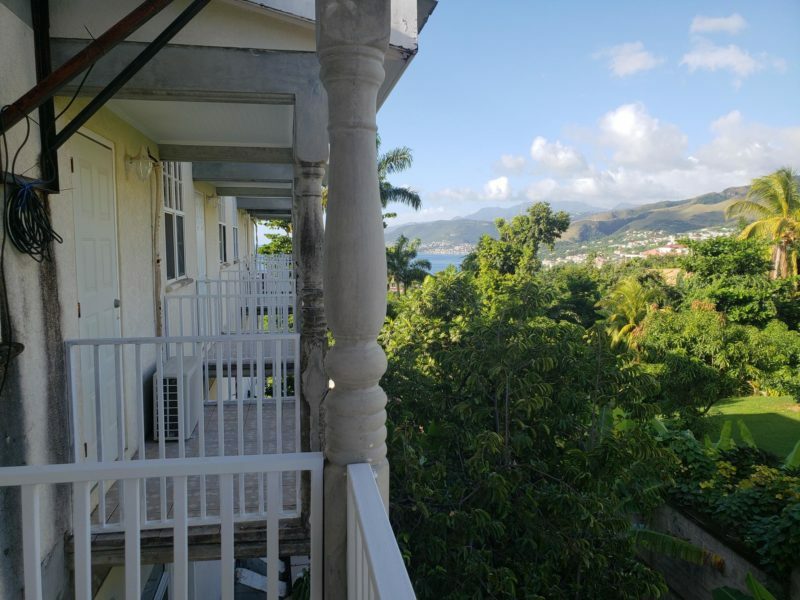 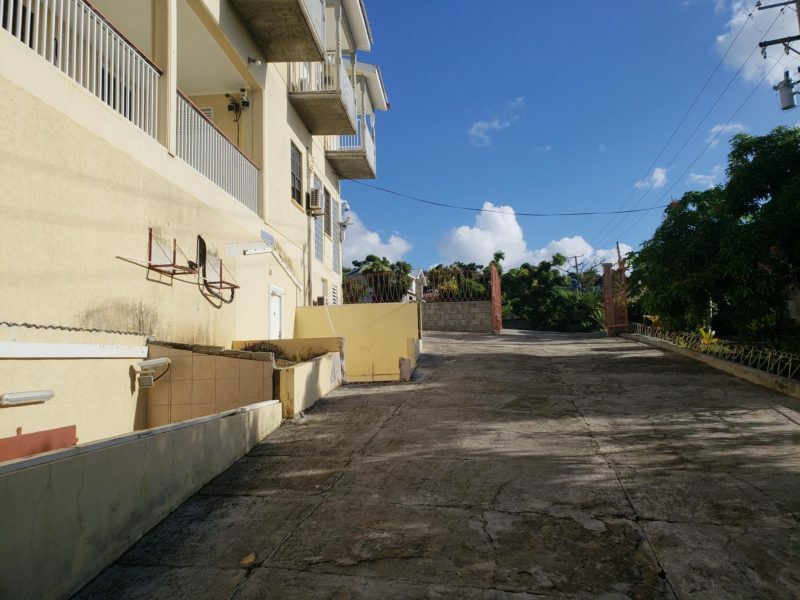 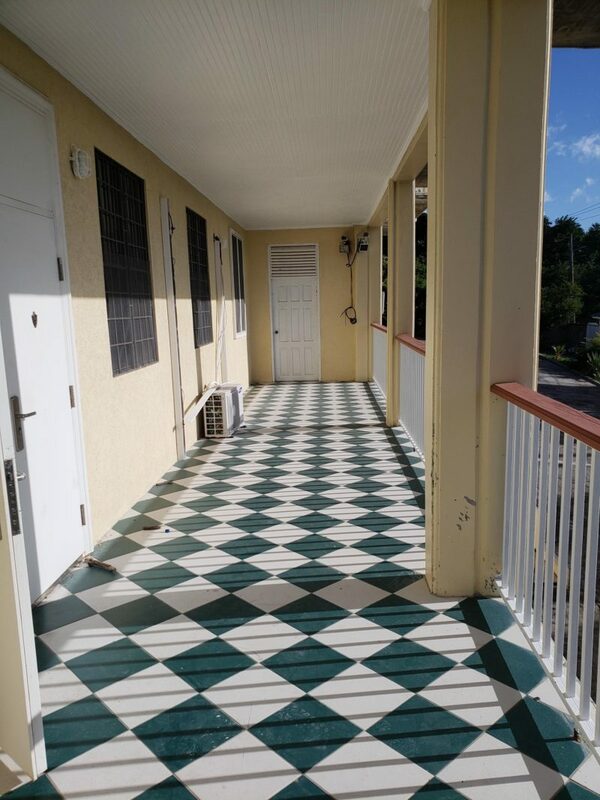 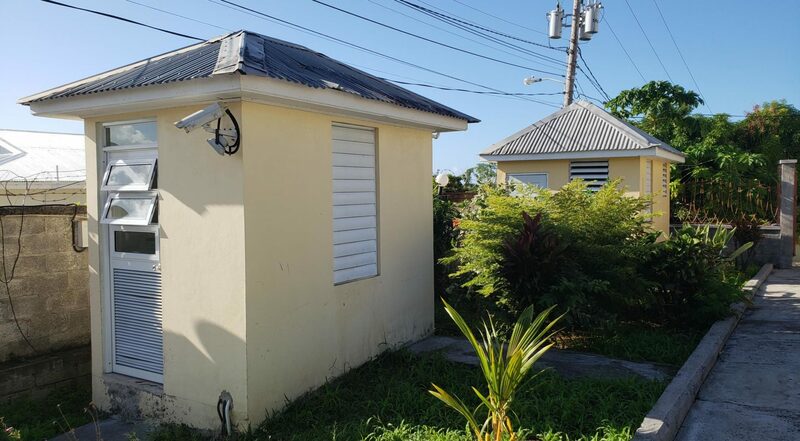 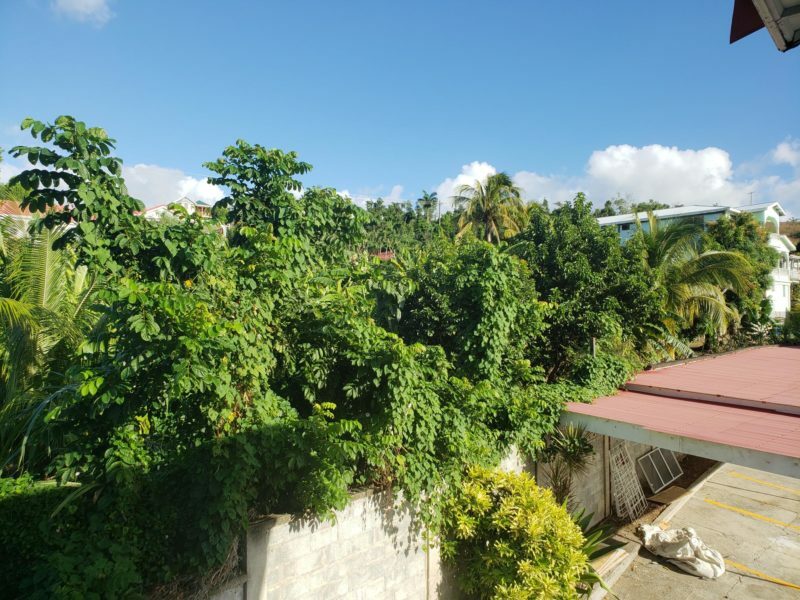 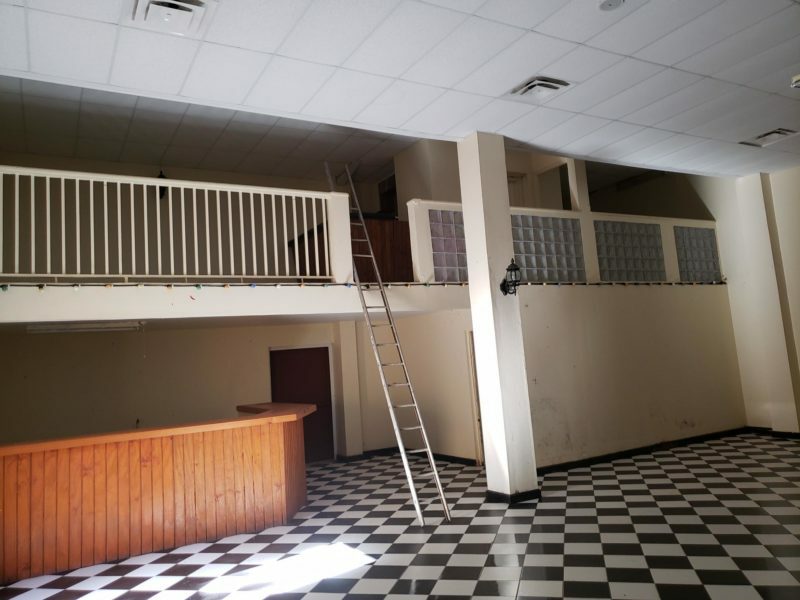 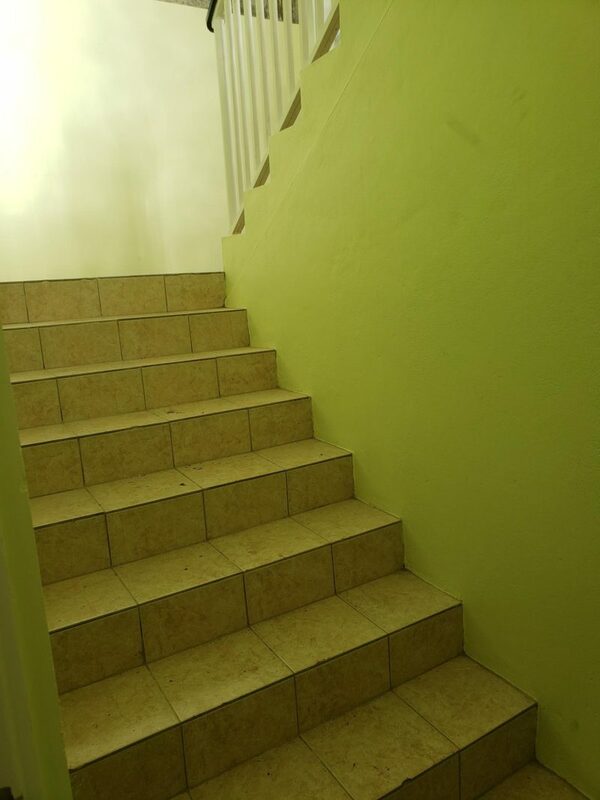 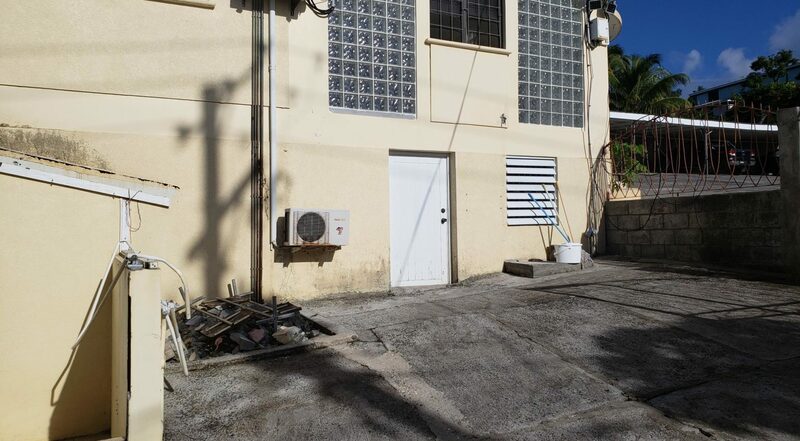 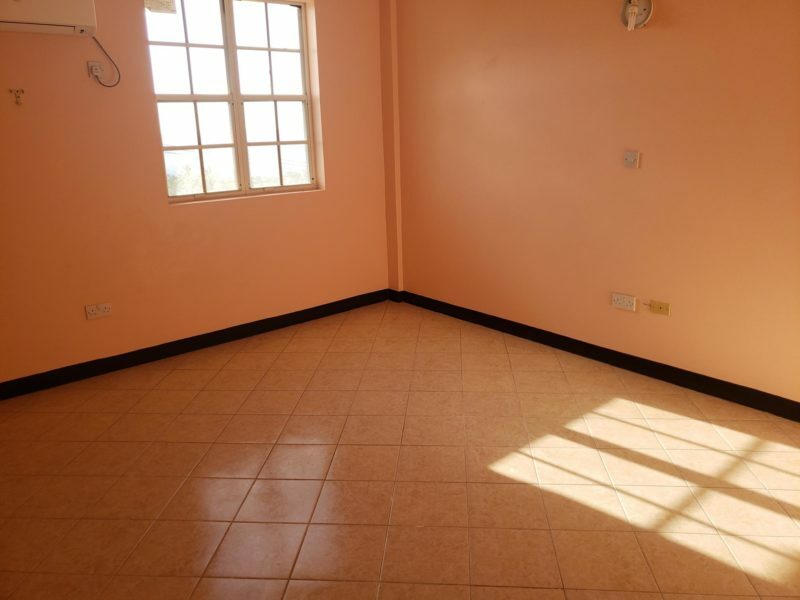 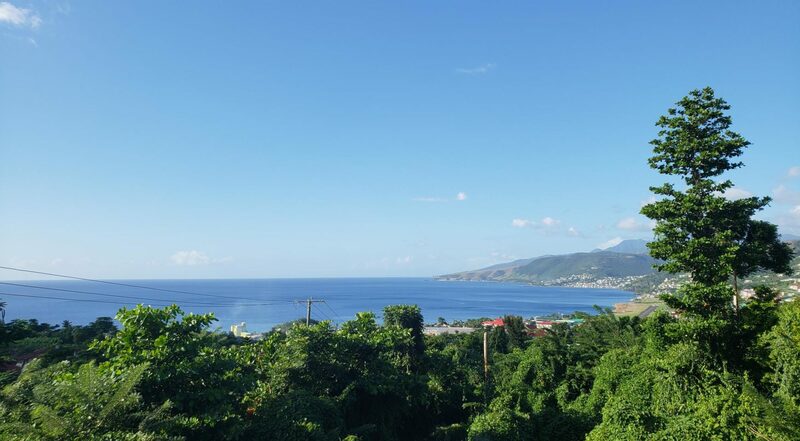 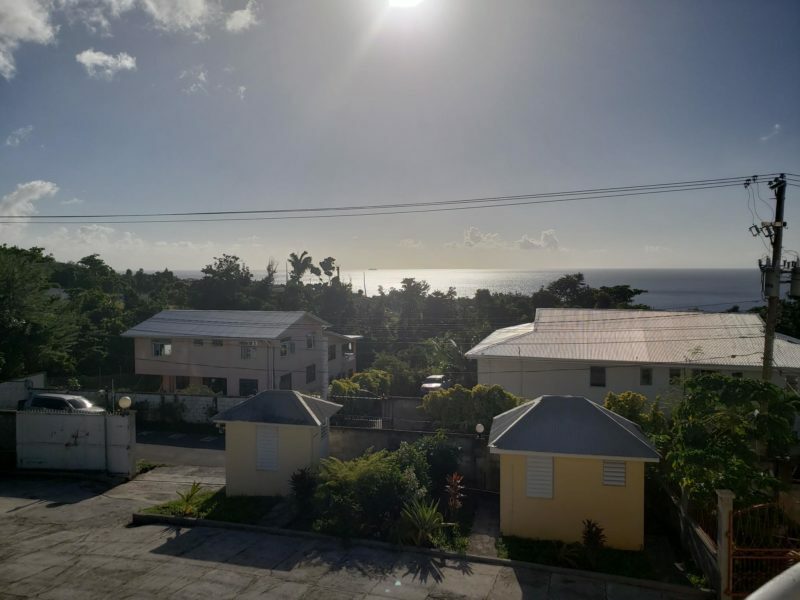 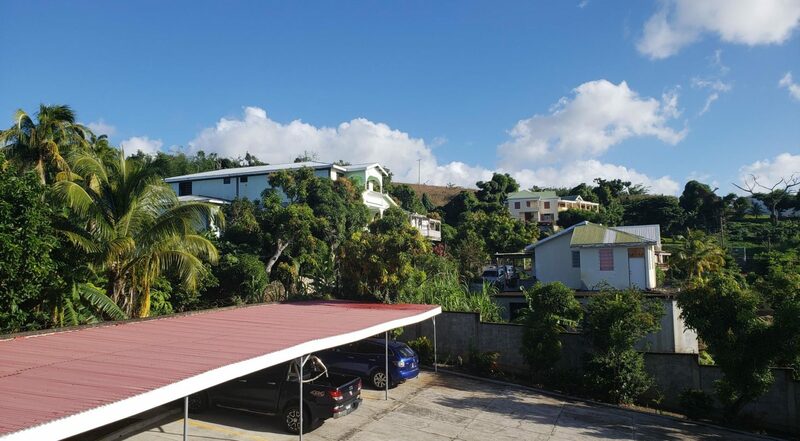 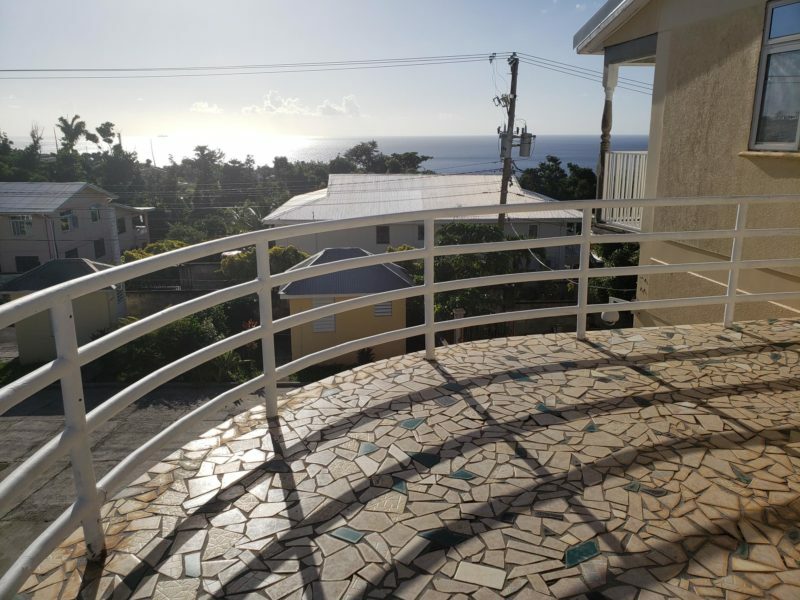 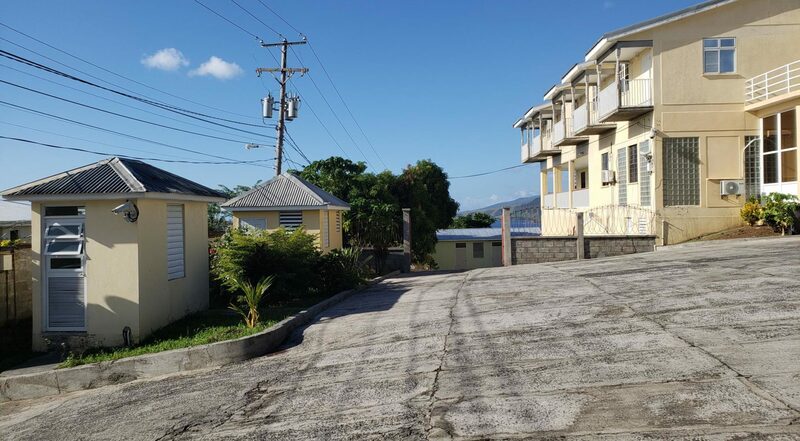 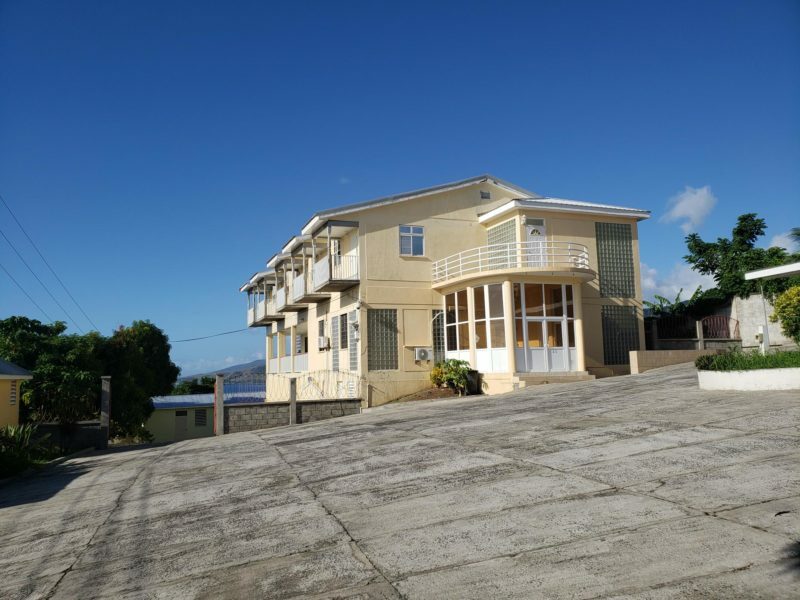 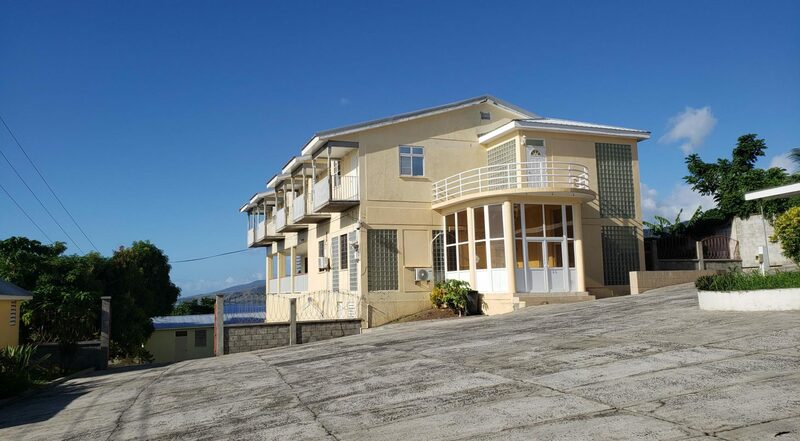 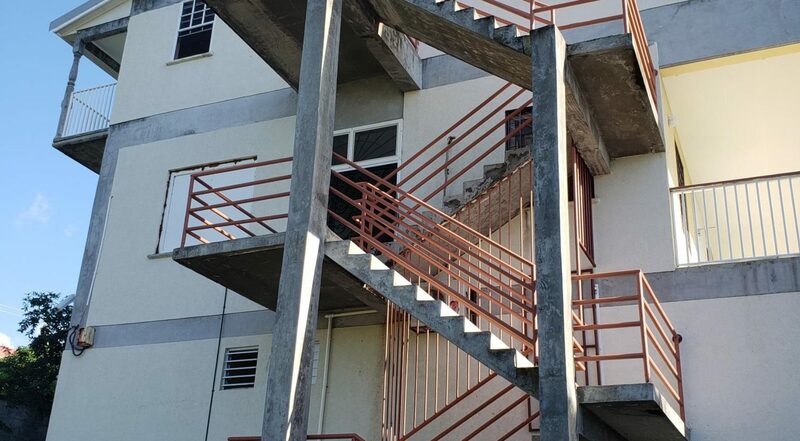 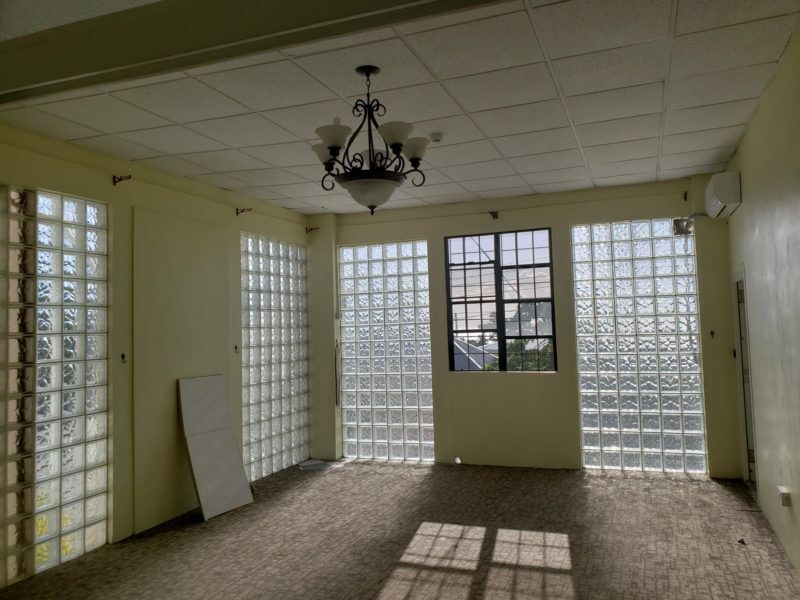 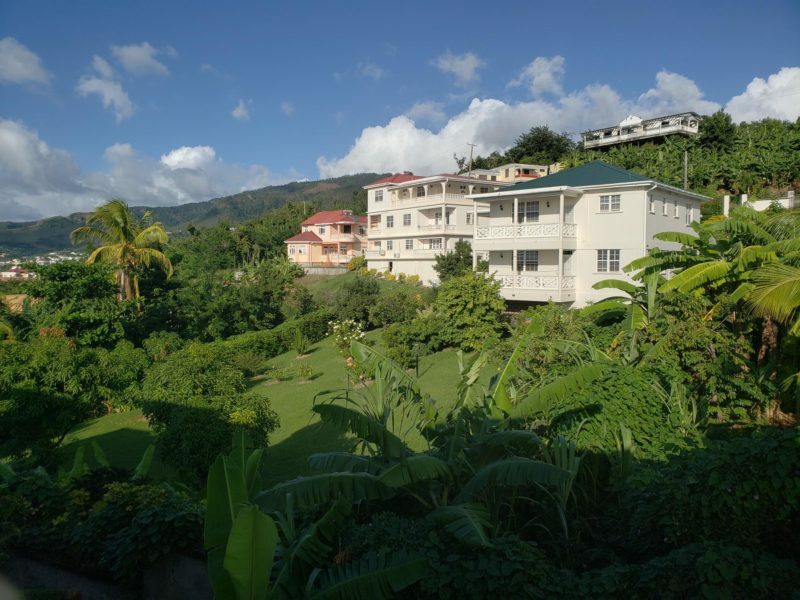 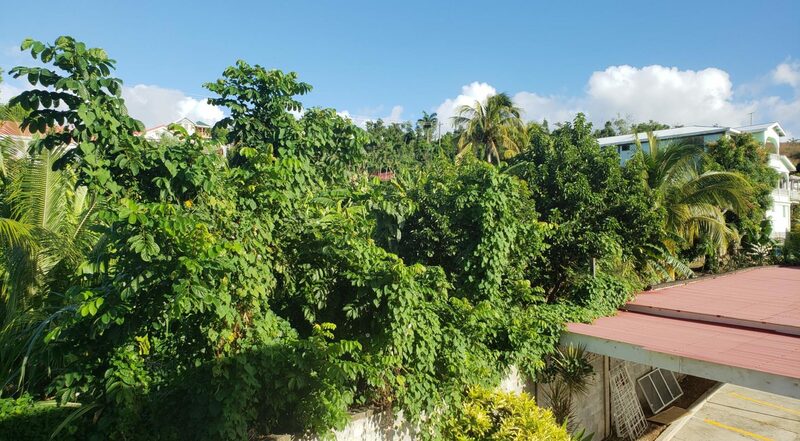 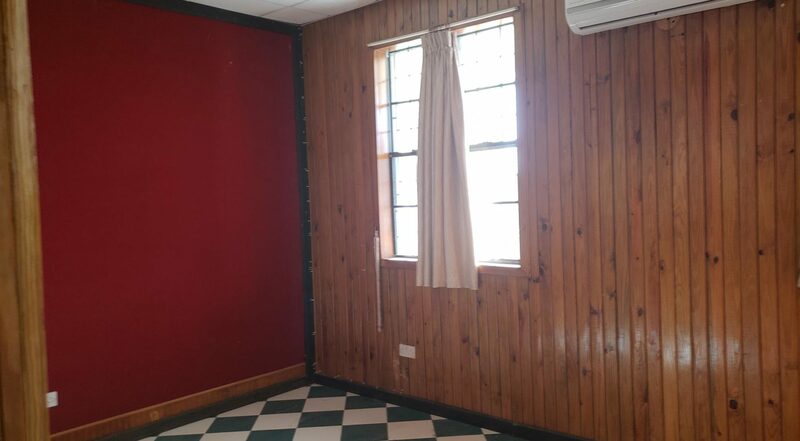 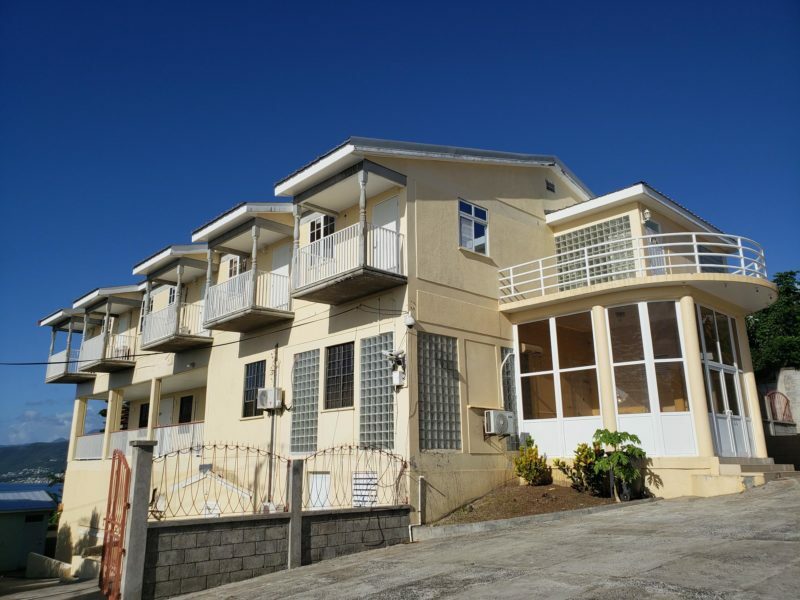 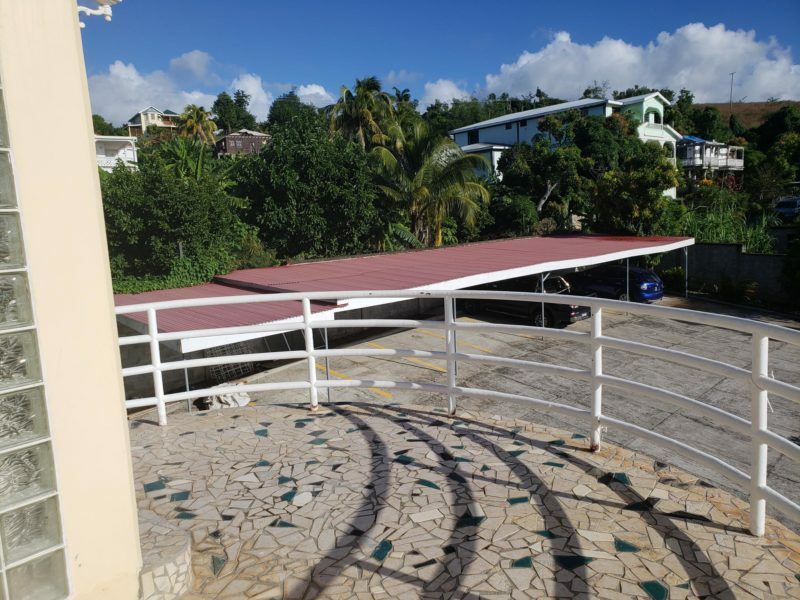 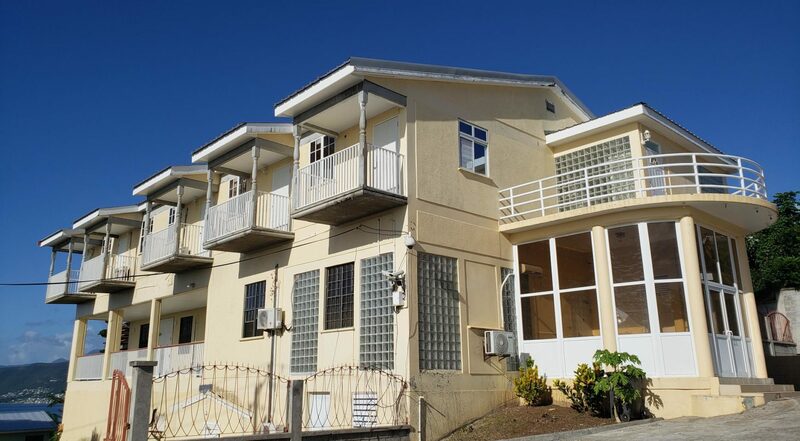 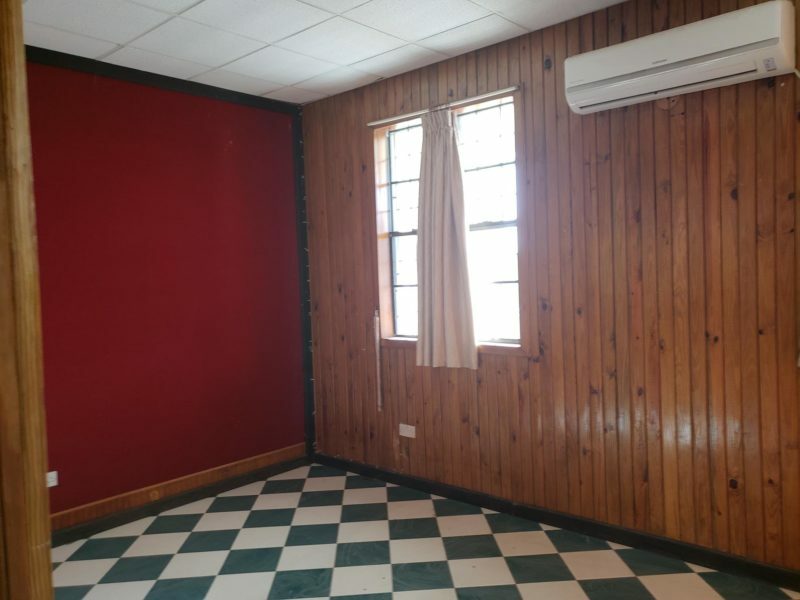 This multi-storey building for sale in Morne Daniel, Dominica can be used as a whole or all the floors can function independently since there are steps internally connecting the floors as well as separate external access to each floor. 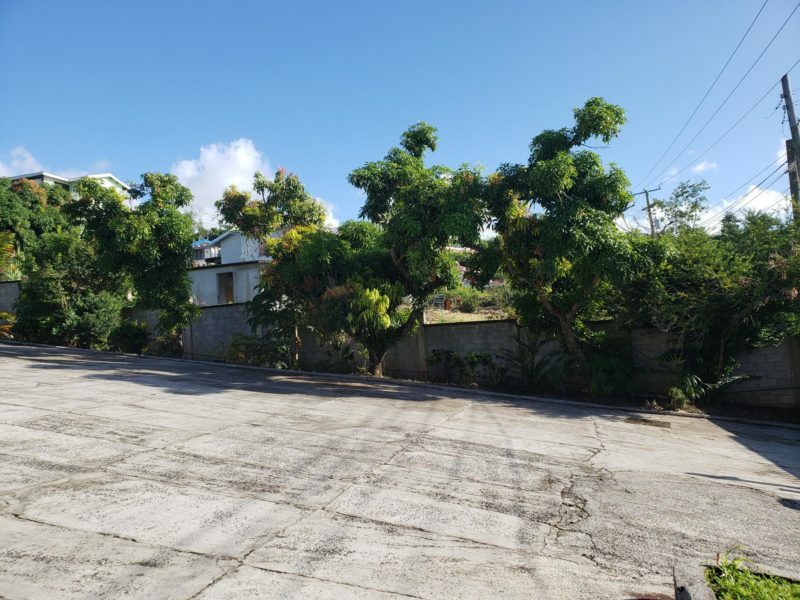 This property offers a substantially large concrete yard measuring 12,500 square feet. 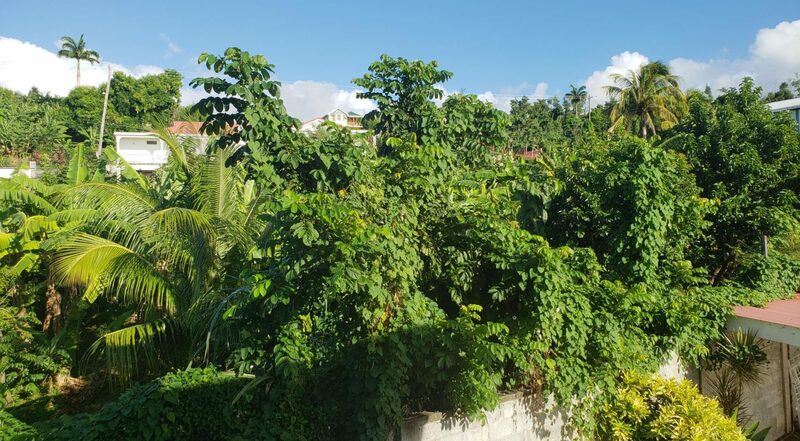 It is manicured with several small garden areas to include mango, cherries and pawpaw trees, and vegetables beds. 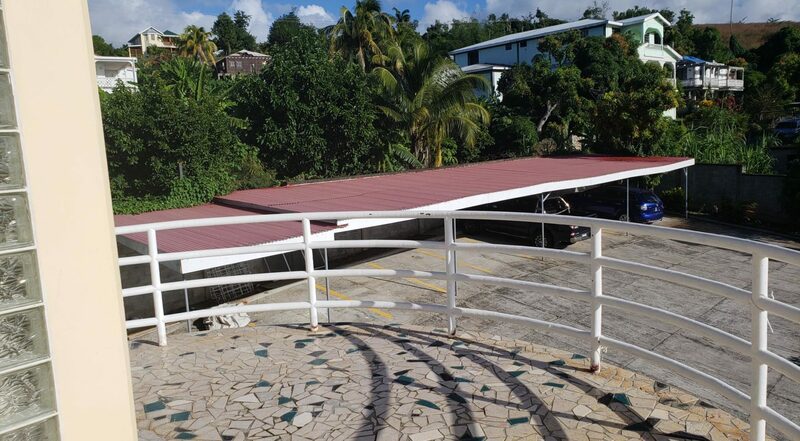 The garage accommodates nine (9) vehicles. 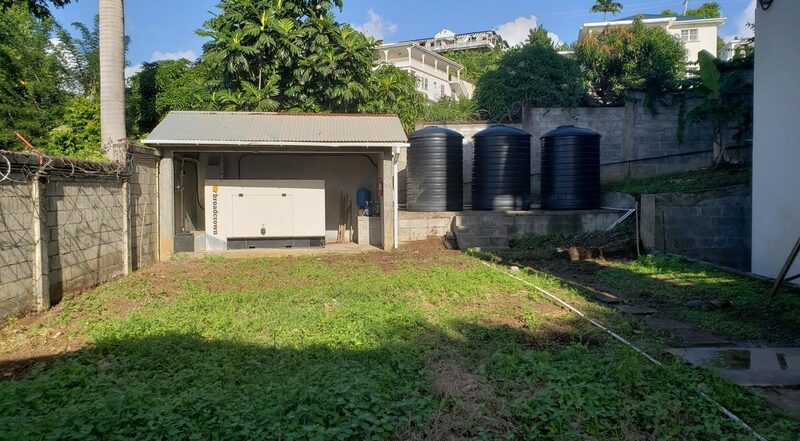 There are two (2) security booths at the entrance of the yard, a stand by generator (in generator shed) and water tanks to the back. 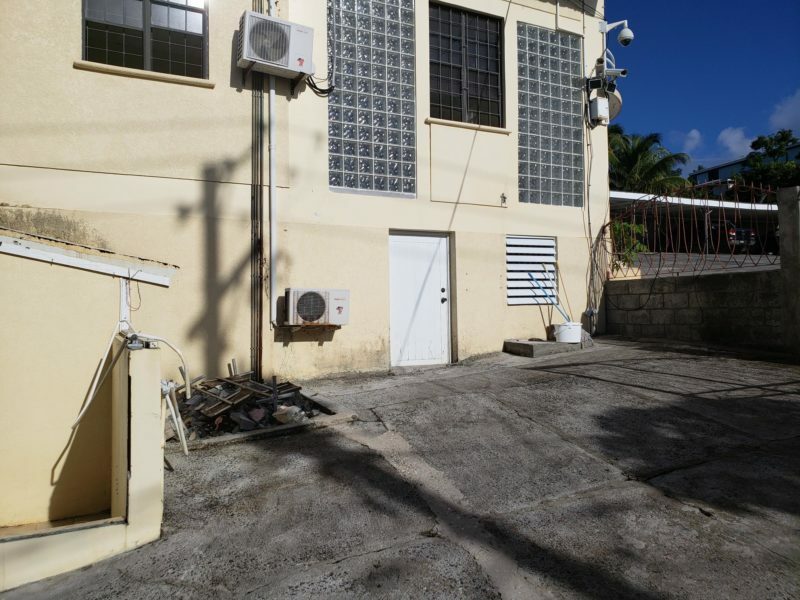 The entire property is fenced with concrete blocks. 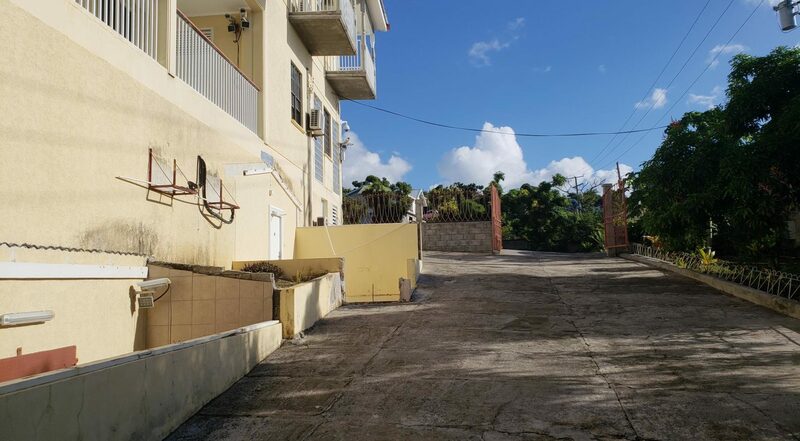 Access is from the Morne Daniel main road through a metal gate. 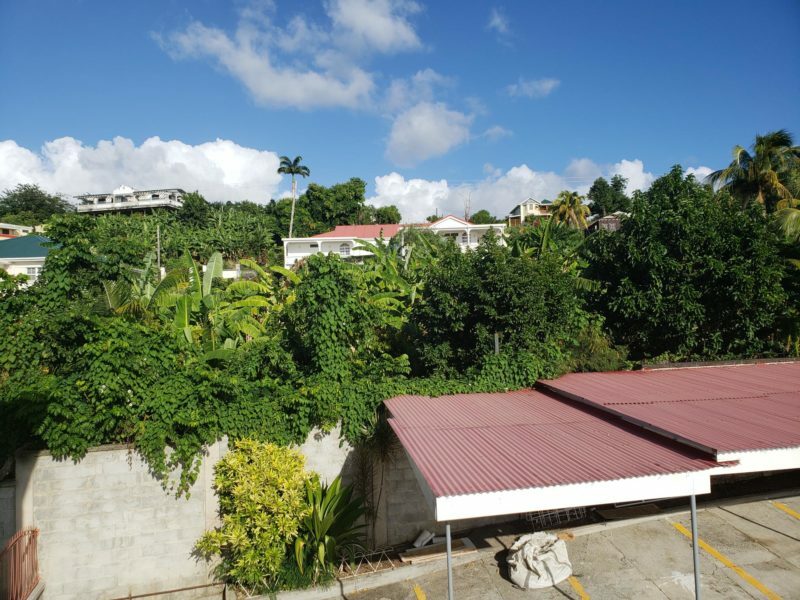 This multi-storey building for sale in Morne Daniel offers the perfect location and features to operate a successful business or businesses. 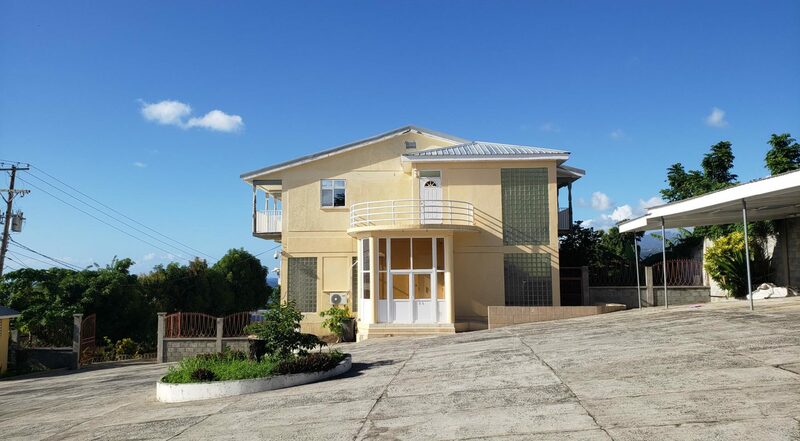 It is perfectly situated in a prestigious community to hold prestigious events or business activities. 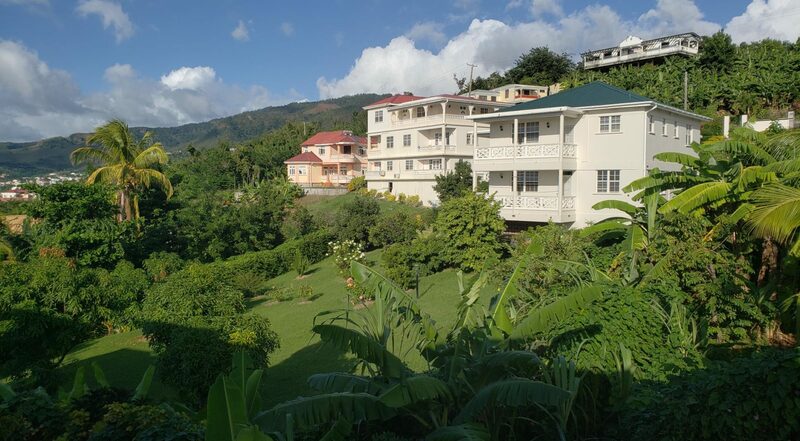 Morne Daniel is approximately three (3) miles away from the capital city, Roseau. 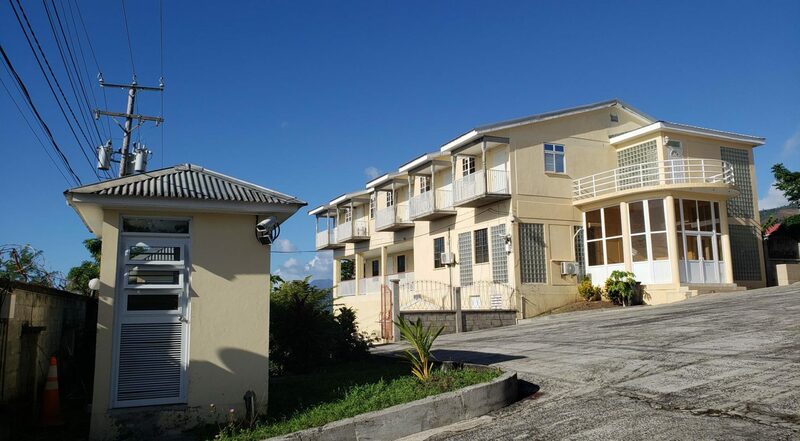 This community is a highly sought after location and has a growing number of private businesses like offshore banks and embassies. 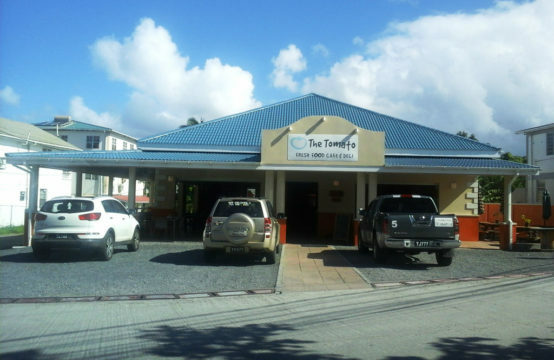 Supermarkets, restaurants, schools, churches etc. 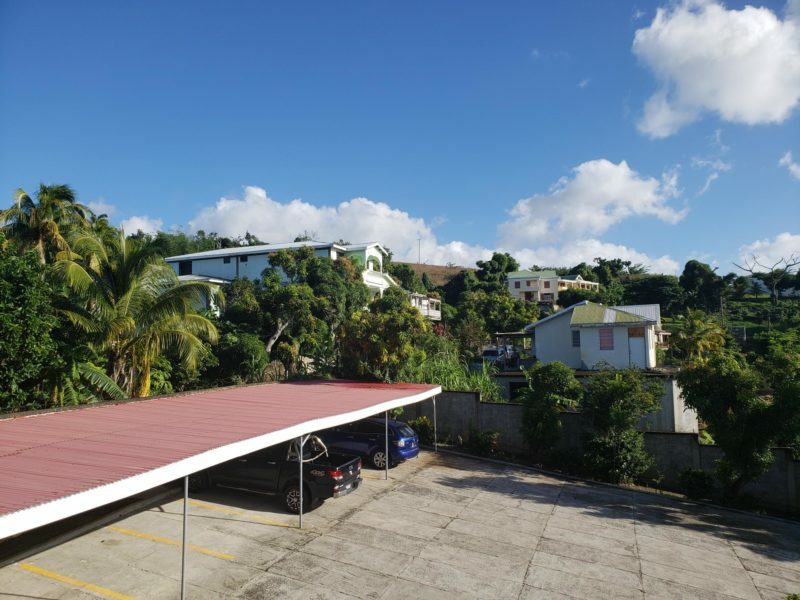 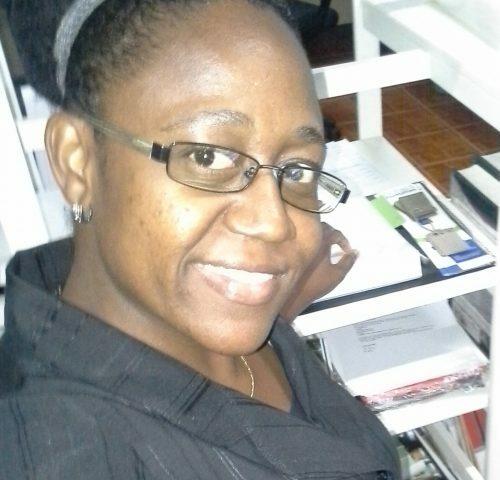 in the neighboring communities such as Canefield serve the community of Morne Daniel.